Successful companies engage in a continuous cycle of identifying and capitalizing on new revenue streams, striving to reduce inefficiencies and increase the effectiveness of their business departments, while communicating in real-time with customers who expect intelligent conversation, whether delivered in person or via the ever-growing list of connected devices and communication platforms. Today’s companies must achieve better results with fewer employees by empowering their organization with the tools and information necessary to make smart decisions at lightning speed. … and this must be done whilst keeping a constant vigil against global competition — which does not sleep, has an endless supply of human capital and financial resource, and threatens to out-innovate and under-price at every turn. Established companies often fall prey to a culture of simply ‘maintaining’ their legacy or current systems, failing to recognize when those very systems actually hinder or even deter their ability to innovate, to automate, to revitalize stagnant revenue streams, or to outsource processes that are low-return yet manpower and capital intensive. This can blind them to up-start disruptive competitors who are free to take market share or establish market dominance. Smaller companies, with fewer employees, frequently lack the resources necessary to field a dedicated department able to identify, let alone implement, solutions to automate, streamline and leverage their business activities. Companies must learn to recognize when previous patterns or expectations are truly helpful and when they are creating a blind spot. They cannot afford to wait for perfect conditions before setting a course; neither can they wait to have all the information before they act. Identifying and capitalizing on opportunities despite inadequate resources is what ensures a company’s success. IT Solutions can generate immediate and long-lasting benefits to a company’s brand, culture, customer loyalty, strategy and operations, as well as improvements in profits, efficiency and security. 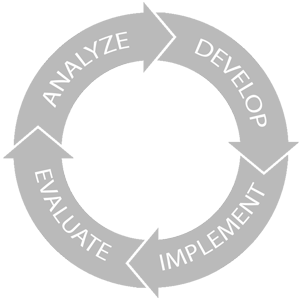 The sooner a solution is implemented, the sooner the effects are felt by a company’s stakeholders. Understanding that every business challenge requires a different solution, we assemble small, collaborative teams of specialized individuals, geared towards solving your specific challenges. Our teams expand and contract as the needs of a project evolve, maintaining a tight correlation between the problem at hand and the skill-sets being utilized to solve it. At Primary Node, we focus on forging lasting relationships through collaboration, trust, creativity and performance. 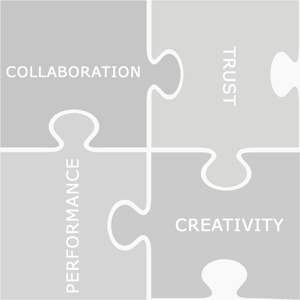 We feel collaboration is integral for a successful relationship and trust is a vital prerequisite for creativity. We pride ourselves on applying these traits to any challenge we undertake. We understand our client’s needs, we deliver a solution. It’s that simple. What Are Our Options? Where Do We Start? What Next?